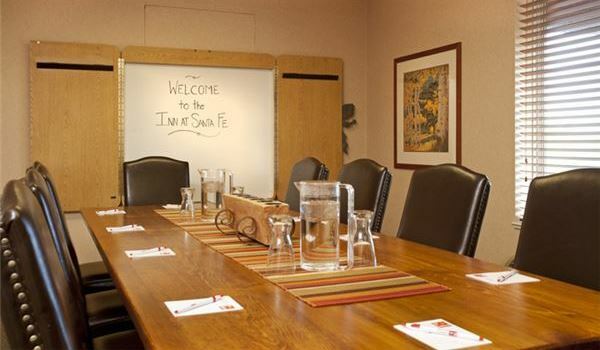 The Inn At Santa Fe offers exceptional meeting facilities complete with full catering in the midst of our beautiful Southwestern scenery. We can accommodate a variety of unique celebrations, whether you're planning your next corporate retreat, wrap party or the social event of the season. Venues include the Kachina Room, the Board Room, the Cedar Lounge, the Poolside Patio and the new outdoor Wedding / Event Pavilion. Enhance your meeting or event by exploring all that Santa Fe has to offer, from its rich Southwestern history, world-famous cuisine, high-altitude sports, fabulous art, to its beautiful scenery including a wealth of outdoor activities. Contact our professional sales and catering staff at 505-474-9500 or [email protected]. We are happy to help you come up with some unique ideas. The Inn At Santa Fe welcomes sports enthusiasts and provides a unique opportunity for visiting athletes or teams who want to experience the best in high-altitude training. We provide inclusive packages with the convenience of one-stop shopping. The Inn At Santa Fe provides excellent hotel accommodations, transportation, meals, access to professional coaching staff and world-class public and private facilities. Contact Victoria Bruneni by telephone 505-216-3715 or email [email protected]. She can create a package specific to your individual or team's needs.